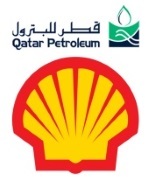 édité le 14/06/2017 - Plus de news de "Qatar Petroleum" - Voir la fiche entreprise de "Qatar Petroleum"
Qatar Petroleum’s Wave LNG Solutions and Shell Gas & Power Developments B.V. (Shell) signed a framework agreement to develop liquefied natural gas (LNG) marine fueling – or bunkering – infrastructure at strategic shipping locations across the globe. Increasing numbers of ship owners and operators are turning to LNG over traditional marine fuels in response to tighter sulfur and nitrogen oxide emissions regulations. In October 2016, the International Maritime Organization (IMO) announced the introduction of a global 0.5% sulfur cap from 2020.